Hello there, and a very warm welcome to Mark Ford‘s Blog.com, the official online home of Mark Ford, author of the home business lifestyle newsletter, jam packed with useful information to help you start your own home based business. If you are anything like me you will love helping others improve their income by running and marketing your own home based business. With over 20 years experience behind me in the home business industry, why am I here? Because… I am a former UK qualified lawyer who was stuck in a corporate lifestyle, tied into a traditional lifestyle that didn’t allow me to travel as freely as I would like, enjoy sport, have more time with the family, and empower others to build a home business lifestyle. So, I am successfully building an alternative lifestyle from home, a life where I can travel when I want and build my home internet business when I want, helping many people around the world do the same. Are you the same? Can you relate to this? Let’s build our own digital and home business lifestyle together! If you want to find a way to travel the world when you want, maybe improve your pension, look after your elderly parents (like my Mum who has dementia and lives with me under a care plan), watch your favourite sport, live a laptop lifestyle, work from home or wherever there is an internet connection, join a supportive team and worldwide community, and find an alternative way to the professional and corporate lifestyle contact me and we can see if we are a good fit for each other. 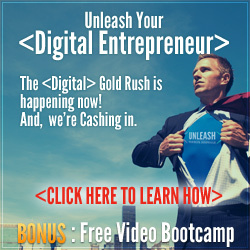 I will show you how you can improve your income, like I have, through a home business and digital marketing. I can help you and introduce you to some of the best online programs which will help us all live a life of abundance, meet our goals, open us up to a digital lifestyle and solve any problems we are experiencing. If I can help in any way, please don’t hesitate to set a time to meet or leave me your contact details and I’ll get back to you. 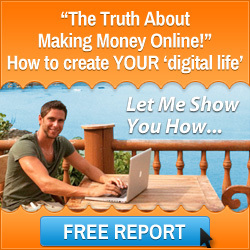 This website provides you with a wealth of information on marketing and making money from home. If you scroll down the page you will be able to read more about what Mark Ford’s Blog.com is all about, who it is for, and information about regular updates. If you would like to learn a lot more about Mark Ford then please visit the ‘About Me‘, Bio, Photos and ‘Official Public Profile‘ pages where I set out ‘My Story’. You can also read about Mark Ford by looking over to the right handside of this website to the right navigation bar, and scrolling down to read the ‘Who Is Mark Ford’ section. Please take some time to have a look around my website and get to know me better. I will share with you some great information to help you build your home business lifestyle and online business. I hope you enjoy going through my personal website and please contact me if I can help you in any way. Mark Ford’s Personal Website – What’s It All About? A search of this site will reveal to you the business opportunities that Mark Ford is involved with and how I can help you succeed with your own home based business. As well as home based businesses this website is also dedicated to providing you with information on digital marketing and mentoring. As this website is developed over time, in the marketing categories of this website you will find helpful information on a number of marketing strategies that you can apply to your business. In particular there is a lot of focus on affiliate, email, internet & network marketing. As an associate of the Six Figure Mentors and Black founder member of the Digital Experts Academy, a creator of online marketing systems, Mark Ford is ideally placed to help you take your business online and leverage the internet to give you back your time and financial freedom as you build a successful online business. The Six Figure Mentors is a ‘high quality’ digital marketing educational training program founded by Stuart Ross and Daniel Wagner. In early 2013, in partnership with Jay Kubassek, Stuart Ross launched the Digital Experts Academy providing a range of marketing and business building packages for the internet entrepreneur. Mark Ford is heavily involved with this mentoring program (click this link to view support package offered) and the education and knowledge gained from his own experiences, both inside and outside of this online business training program, can now be shared with anyone who is open minded, serious and motivated about taking action to change their life today. More Information Here. You will also find on this website information on goal setting and what makes a successful person. Using the Six Figure Mentors System you will learn how to ensure that all these factors are in place so that you can succeed with your home based business. Mark Ford wishes you every success as you work towards achieving your goals. Mark Ford’s Blog.com – Who Is It For? You need to understand that anyone who takes consistent action and works hard can succeed and earn money online. This is because you have a global market available to you where you can connect with over a billion people, 24 hours per day, 7 days per week, 365 days a year! I know this because I have worked with all types of people with various backgrounds. If you are an opportunity seeker, someone who is looking to work from home with a legitimate business opportunity that works, and one that will make you money, then you have landed on the right page. 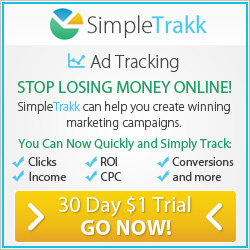 This website is just right for you and it is what you have been searching for. The information on this site is also ideally suited for affiliate, email, internet and network marketers and anyone looking for marketing and mentoring information. In the running of my information publishing and work from home income opportunity businesses I am always striving to grow and develop. I am committed to do all I can to help my website visitors, subscribers and customers achieve their goals through the information I provide. To help keep you up to date on home based business opportunities and developments within the industry I will post a variety of interesting articles for you to read in the work from home blog section of this website. If you scroll down the website and click on the links in the category section over on the right hand side, you will also be able to navigate around the website to find what you are looking for. I will also continue to research on an ongoing basis various market niches that are relevant to the content of this website. This website will, as a result, be updated on an ongoing basis so please ensure you check back from time to time for the latest updates. My mission statement and frequently asked questions will also provide you with some additional helpful information. If you like what you read and have found the information to be of value to you please ensure that you subscribe to the RSS feed and consider sharing the information with your contacts on the social media sites. If you click on the icons below you will be able to easily share the information that will be of value to your friends and business contacts. Mark Ford, Elite Associate of the Six Figure Mentors, Black founder member of the Digital Experts Academy, home business and digital online business entrepreneur, marketer and mentor. 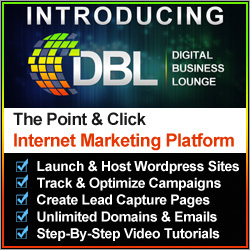 Helping you to build a better home business lifestyle and a long term sustainable income online. Pingback: Jay Kubassek Grows A Tree And The Roots! Pingback: Mark Ford Cracks The Nut Literally! Pingback: Why Do We Do The Things That We Do?